Every year since 2014, the Media Indie Exchange has brought a litany of interesting indie games to showcase alongside E3. Every year we’ve attended has been an absolute delight, presenting a great opportunity to see games we might not have otherwise seen, as well as a chance to catch up with old friends and colleagues or meet new faces. Despite the crowds it draws, it always feels like a more low-key event compared to E3 proper. It’s more informal, everyone just as open to sit back and chat as they are eager to show off their games. A nice way to end the longest day of E3. We weren’t able to play nearly as much as we wanted to (as is always the case), but we still managed to see quite a good range of games. Third-person platformers aren’t usually the first idea to come to mind when talking about VR, but Tornado Tower makes a good case for them. Tornado Tower is set in a cylindrical world. It’s a side-scroller, so the camera is generally locked to the character, but I could look up and down at any time to see the rest of the level and how it all wrapped around on itself. It was weird at first, but also very useful since it allowed me to easily look ahead and plot my path in advance instead of walking forward blindly and figuring it out as I went. Tornado Tower’s hook lies in creating gusts of wind to propel yourself forward. Using the Oculus Rift controllers, I moved a small cursor around the screen with the controller itself. It acted like a pointer, despite not being able to see where I was pointing the controller. With this, I could use the wind to reach higher spots or cross long gaps. Simple, but effective. Unfortunately my demo was cut short due to a glitch rendering that ability inoperable. But such is the risk of playing very early builds. Still; I like what I played. Didn’t think platformers would be a good fit for VR, but it works well. Curious to see how other conventional genres can make the jump to the platform. Tornado Tower is still deep in development with no release window in sight, though a demo is available on the game’s Itch.io page. 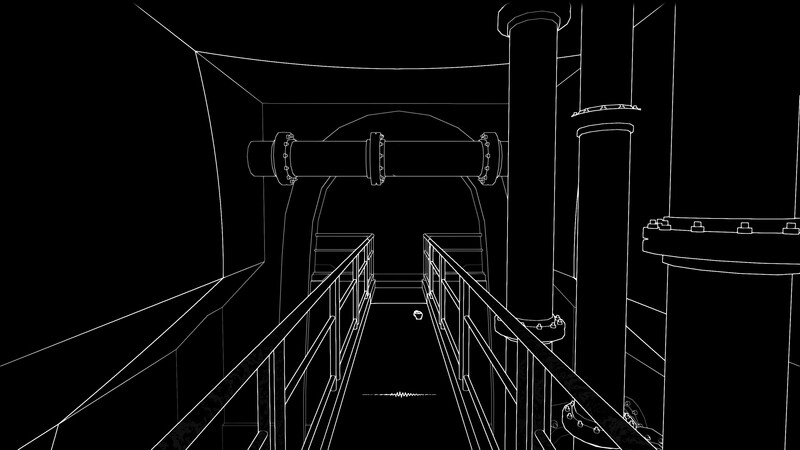 It’s currently being developed for the Oculus Rift. 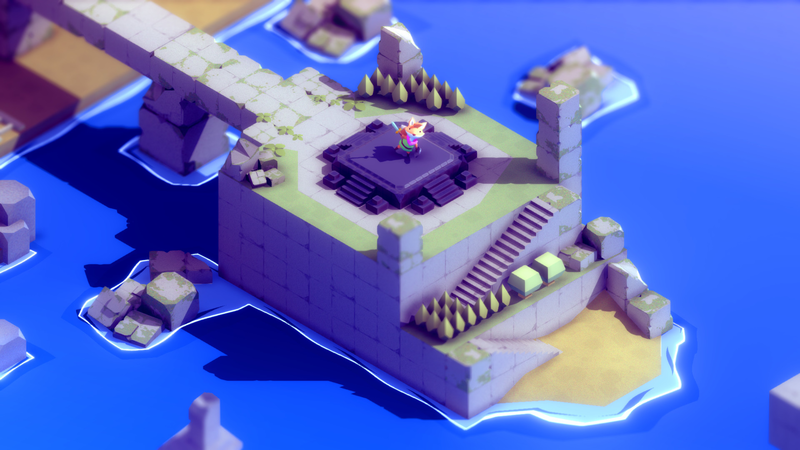 Formerly known as Secret Legend, Tunic follows a small (and very cute) fox who finds themself washed ashore a mysterious island. Equipped with nothing but the clothes on their back and a stick they found on the ground, they set off to figure out the island’s secrets. My time with the demo was split evenly between exploration and combat. I began by wandering around the starting area, generally getting a feel for the land. Signposts were a common sight, only they were written in some sort of runic language. Made it tough to tell what I was saying yes or no to in a couple instances, but it seemed to always work out okay. Maybe the fox will learn to read it over time? While I contemplate the signs, I continue looking around the ruins. 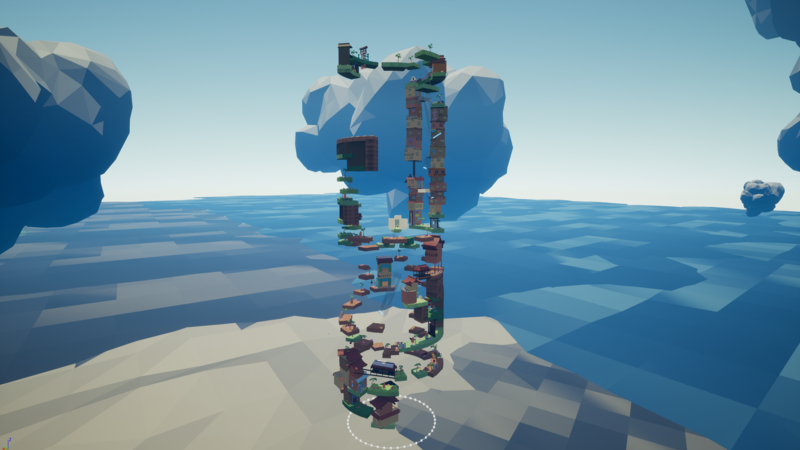 I run into a lot of paths that are inaccessible – locked doors, retracted ladders, and so on – some of which open up later on in the demo to lead me back to the beginning. Handy. As I made my way around the island, I fought through some small groups of monsters. They didn’t pose much of a threat, they’re slow movements making them easy to dodge and dispatch. Once I got a proper sword and a shield, things started to get a bit more interesting. Larger foes – namely spiders and soldiers – were a lot more active and powerful, forcing me to be a lot more careful in my approach and manage my stamina accordingly. Every time you swing your sword, block attacks, or dodge roll you expend a bit of your stamina meter. It gives the combat a welcome dose of energy, striking a nice balance between fast and deliberate. It feels good. I eventually reach a point where I feel like I’ve seen just about everything the demo has to offer. Every path I try to explore either leads to a dead-end or seems to require a key or some sort of contraption to open. Or maybe I just missed something. Despite being a pretty small space overall, Tunic packs it full of secrets. If the full game can keep that up, I’m certain it’ll be a delight to explore. Tunic is set for release sometime next year on PC. Stifled is a first-person VR experience that relies on the sounds you utter in order to find a way through the game, after the protagonist survives a car accident and is cast in complete darkness. The demo goes through the initial areas of the game, and I had to talk into a microphone in order to send shock waves that hit walls and “drew” a path forward. I eventually found out that there’s a button on the controller that’s dedicated to that, but it was fun to hum along anyway. There are also some objects you can pick up and throw that are more limited in sound range, but their impact can be projected away from your actual location, something that eventually came into play later in the demo. After crossing some woods, I eventually found my way to some sewers, where my sounds reverbed a lot more due to the close walls. They attracted the attention of an unseen creature whose screams painted the blackness red with their waves. That’s the point in the demo where stealth became an important element, forcing me to limit how loud I could reverberate before the monster would hear me. It’s also when I was able to throw a shoe and get the monster to turn its ear anyway from me for a moment. I eventually reached the end of the sewers and fell down a shaft, attracting the attention of whatever was chasing me. That’s when Stifled completed its fade to full black. While it was never made clear whether or not I could be caught, the tension was certainly there all throughout my time playing, thanks to the game’s fantastic implementation of sound and visuals is a really creative use of VR technology. Really good headphones are also a must. Stifled is coming out later this year, but in the meantime, you can also play the demo available here. I only got to play a couple round of Nidhogg 2, but that was all I needed to get a good feel for the game. In short, it’s more Nidhogg. More weapons, more stages (10 in total), more everything. The new art style quickly grew on me seeing it in motion first-hand, the additional detail it adds to the stages giving old favorites new life. I played two rounds, both on old stages. The first was set in the Wilds, a place rife with tall grass to hide in. My opponent and I both made good use of it, goading each other into running into throwing our blades blindly or tricking them into running straight into it as we both fought to gain the lead. I quickly noticed that, whenever one of us died, we would spawn with a new weapon. We started with the standard rapiers, then broadswords that swung in vertical arcs instead of thrusts, followed by daggers that greatly decreased our range, and finally a bow and arrow. My first match ended quickly enough that I didn’t get much of a chance to really see how the different weapons changed how we fought, but the simple knowledge that I couldn’t count on knowing what I’d be using at any given moment already seemed like it would make a big difference. My second match proved that to be true. Set in the Castle level from the first game (also known as the best level in Nidhogg), the constant weapon swaps made the match far more frantic and silly, causing us to throw weapons more often to pick up what we hoped would be a superior weapon whenever we killed one another. It really upped the chaos that Nidhogg creates. 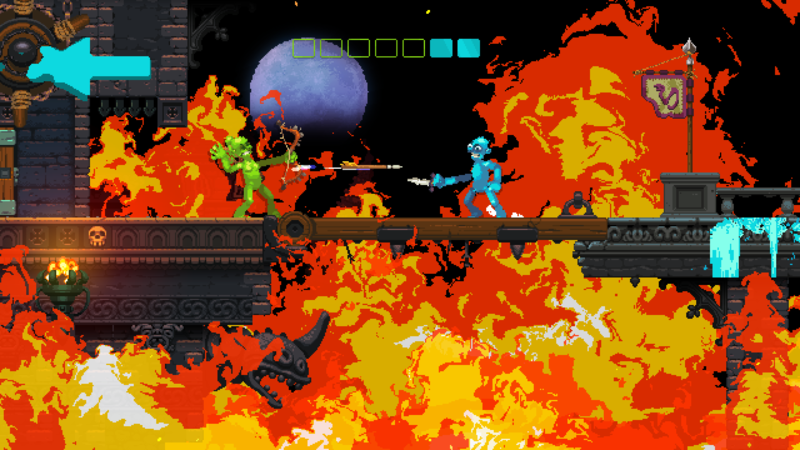 Nidhogg 2 is set for release sometime this Summer on PC and PlayStation 4. Playing Overland confirmed what I’ve always known to some extent: that I wouldn’t last long in the post-apocalypse. 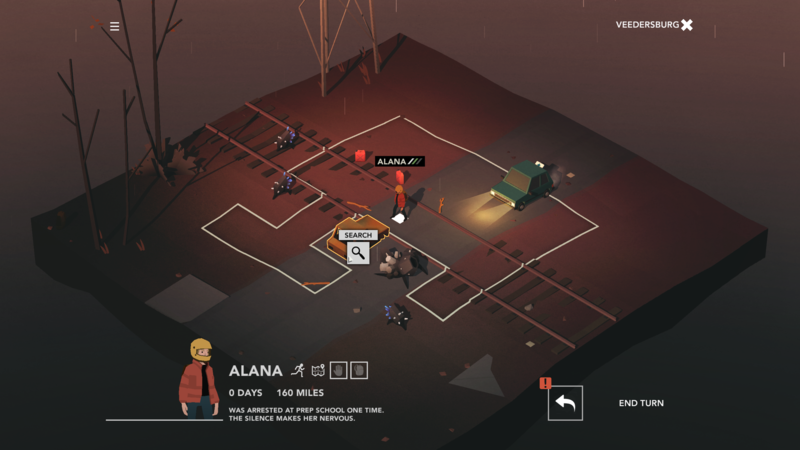 Set in the United States following an unknown apocalyptic event, Overland is a turn-based strategy game that sees you and a growing band of survivors make a trip across the country to reach the west coast. The game generates a new scenario each time you play, ensuring you never end up with the same group of survivors or tools between playthroughs. I started just outside a house with two survivors and a car. The goal was simple: fuel the car, grab any extra supplies, and get the heck out of there. There wasn’t much to retrieve other than fuel, though, so it didn’t take much time at all to hit the road. From there, I was taken to a road map and given two options of where to go. One that would lead to a stranded survivor, but was also going to be difficult. The other would lead to supplies, and would be easier. I decided to go with the latter because I didn’t have anything I could use. I end up in a city. The supplies aren’t as plentiful as I hoped – picked up some weapons and a bit more fuel, but no first-aid kits like I wanted. Still, better than nothing. I decide to try saving another survivor at the next stop. Thing start going south here. A couple of monsters are already on the field, the survivor I found already in a wounded state that greatly limits their movement. I make rescuing them my top priority, but it doesn’t go as well I hope. One of my existing survivors gets wounded as well, leaving me with only one person still in any condition to do anything. Given the situation, I throw everyone into the car and get out of there, leaving some much needed fuel behind. The next stop isn’t much better. Again I don’t find the supplies I need, only now I’m stranded due to having no more fuel in the car. With monsters closing in, I resign myself to failure and quit to the menu. My first run may have been a disaster, but I at least now have a good idea of what I should do next time. Adam Saltsman, one of the developers, tells me they want players to learn from failure and have a plan for how they can avoid it next time. I can’t say I had a plan, but I at least had some general ideas for what I could do differently. And I’m very much looking forward to giving it another go eventually. Overland is still in development, but it’s currently available via “first access” on Itch.io for PC, Mac, and Linux.